USD is losing power against CAD due to the oil price. USDCAD has been moving with bearish bias since the beginning of June. 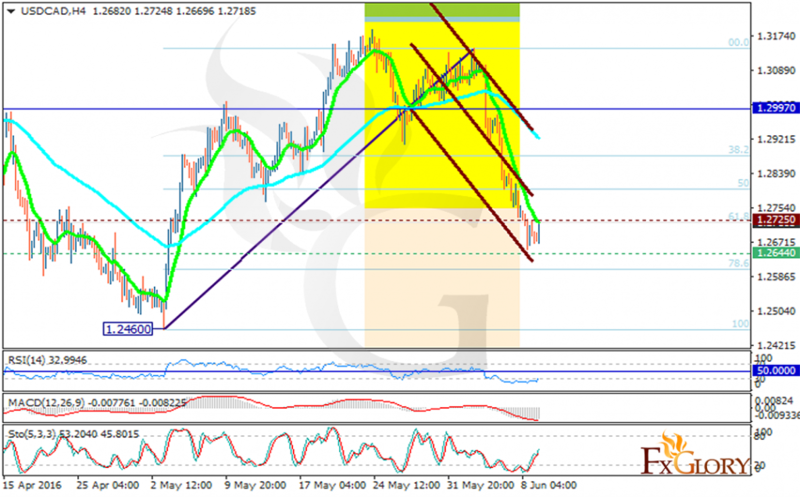 The support lies at 1.26440 with resistance at 1.27250 which both lines are below the weekly pivot point at 1.2997. The RSI is in oversold area and the MACD indicator is in negative territory which both are suggesting price decline however the Stochastic is showing upward momentum. The price is moving on the 61.8 of Fibonacci retracement so there might be a rebound here. The resistance level breakout will push the price towards higher levels and the support level breakthrough will make the price fall to 1.25.